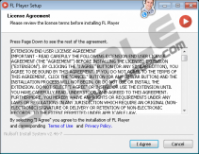 FL Player is a plugin for Internet Explorer that might be installed without permission. If you ever notice its presence, you have to rush to erase it because its presence means only one thing – you will see commercial ads on your screen. You might see dozens of ads on your screen and they might not even allow you to surf the Internet freely, so you have to hurry to remove this plugin in order to get rid of all of them. You should be very careful with software created on the Crossrider engine because such applications are untrustworthy in most cases. In other words, they perform undesirable activities and they tend to enter the system without a user’s permission. FL Player is published by Strong and users usually download it from various untrustworthy websites or notice that it has slithered onto their computers after downloading some kind of free program from an unreliable third-party website. Not all free programs come together with additional software; however, you should be cautious with them. If you have not managed to protect your system and already see the presence of FL Player, you should erase this software because it will not leave you alone and you will see various ads day after day. Ads are not only very annoying, but they might put your system at risk. Security specialists working at pcthreat.com do not recommend clicking on advertisements because they might redirect to unreliable websites. These websites might contain malware, but, unfortunately, you will not know that in advance. As has been already mentioned, FL Player tends to travel bundled with other applications. Unfortunately, these applications might be untrustworthy as well and there is a possibility that they have entered your system too. Therefore, it is necessary to check the system’s condition. Of course, the easiest way is to scan the system with a trustworthy scanner; however, if you decide to detect and remove them manually, you should know that it is worth checking the Control Panel and the list of add-ons on Internet Explorer, Google Chrome, and Mozilla Firefox. If you do not want to end up with untrustworthy software in the future, you should install a security tool and try to be very careful all the time. 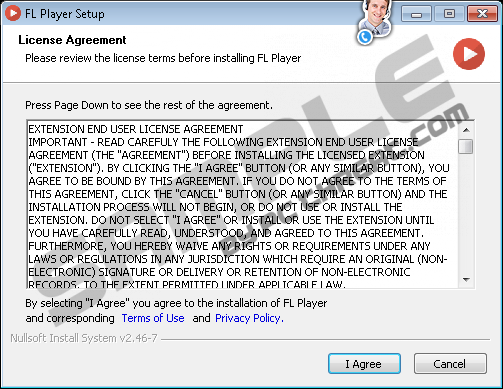 The majority of advertising-supported applications can be erased rather easily; FL Player is no exception. Our security specialists have found out that it is possible to erase FL Player via Control Panel. Unfortunately, we cannot say the same about the programs that travel together with FL Player and might have entered your system. Therefore, we highly recommend that you scan your system with a trustworthy antimalware scanner, such as SpyHunter, after the removal of FL Player. It is not a must, of course, but you really have to perform the scan if you want to clean your system. Quick & tested solution for FL Player removal.